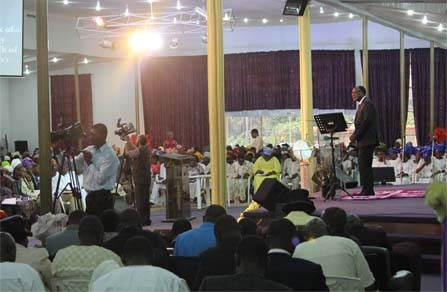 Long before people were seriously connected via the Internet, Dr John Idowu took up the charge to preach the gospel of Jesus Christ in every corner of the globe. In 1998, he discovered the radio and later the television were the most effective way to reach people on a global scale. Television is more than a communication medium; it has become an avenue for us to tell-a-vision; not only the vision of our ministry, but the vision of God’s purpose to love every person on the face of earth and to teach believers how to walk in the Spirit, power and wisdom of God. For more than 10 years, he has accomplished this through the Hour of power radio broadcast and Divine Encounter TV broadcast. The program airs on many stations and cuts across Africa, Asia and Europe. Under the dynamic leadership of Dr John Idowu, this cutting-edge media ministry is committed to stretching its global reach with programms that ministers to people from all walks of life, so they are empowered to live in an atmosphere of righteousness, wisdom and power.